HP today released a new Android tablet in the US, making it the company’s cheapest slate ever. 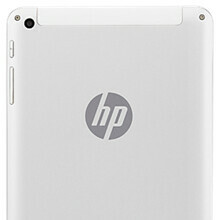 Called HP 7 Plus, the tablet can be bought for only $99.99. According to HP, the 7 Plus has “got responsiveness that delivers entertainment where you want it.” It’s similar in design to the HP 8 that was launched in March, while also sharing some of its features. The HP 7 Plus runs Android 4.2.2 Jelly Bean, and obviously sports a 7-inch display (with a low-density pixel resolution of 600 x 1,024). The tablet further offers Wi-Fi 802.11b/g/n, a 2MP rear camera, VGA front-facing camera, quad-core Allwinner A31 (ARM Cortex A7) processor clocked at 1GHz, 1GB of RAM, and 8GB of expandable internal memory. A 2,800 Li-Po battery is included. Like the HP 8, the HP 7 Plus is offered with free 25GB lifetime cloud storage from Box. You can buy the 7 Plus tablet via HP’s online store at the source link below (it looks like it’s available only in silver, with no other color options being announced). This would have been a better tablet if its already in android kitkat. Especiially since kitkat was designed to run smoother on low end devices. Kitkat actually made my Galaxy tab 2 usable. My Touchpad is still kicking it as my primary tablet running Cyanogenmod 9. In fact I sold an iPad 2 and Galaxy Tab 10.1 and just kept my HP Touchpad. I still haven't found a tablet that sounds better. Compare this to their first Android tablet, the Slate 7, and there's not much of a difference. They added a FFC, bumped up to a quad-core processor and went to 4.2 instead of 4.1. Still nothing to go nuts about. At least it's a step up from other budget tablets like the Galaxy Tab 3 Lite, which is close in specs but goes for nearly $60 more.